Hamilton County Commissioners voted to fund the stadium fund property tax rebate (PTR) at $13 million, about 65 percent of the full amount, for 2014. That's $1 million more than had been proposed by Commissioner Greg Hartmann. 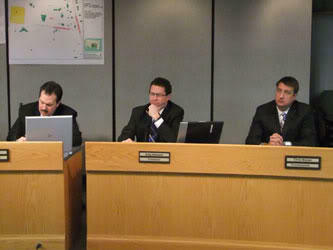 The board debated various options for nearly an hour before settling on the revised version of Hartmann's plan. Hartmann says his proposal brings stability to the fund and should ensure at least partial funding of the PTR for five years. The proposal allows for the PTR percentage to increase during that time as well. Commission President Chris Monzel wanted to fully fund the PTR, but conceded that would only be sustainable for one year. With Hartmann and Monzel compromising, Commissioner Todd Portune - who lobbied for a half cent sales tax increase he said would permanently fix the problem - voted 'no'. Homeowners this year received about $35 for every $100,000 of property value. The property tax rebate was promised when voters approved the 1996 sales tax increase to build Paul Brown Stadium and Great American Ball Park. Hamilton County property taxes aren't going up but homeowners will be getting less money back next year. Commissioners voted 2-1 to reduce the property tax rebate (PTR) homeowners receive. The PTR was promised when voters approved a sales tax increase to build the Reds and Bengals stadiums. Board President Greg Hartmann proposed the idea.